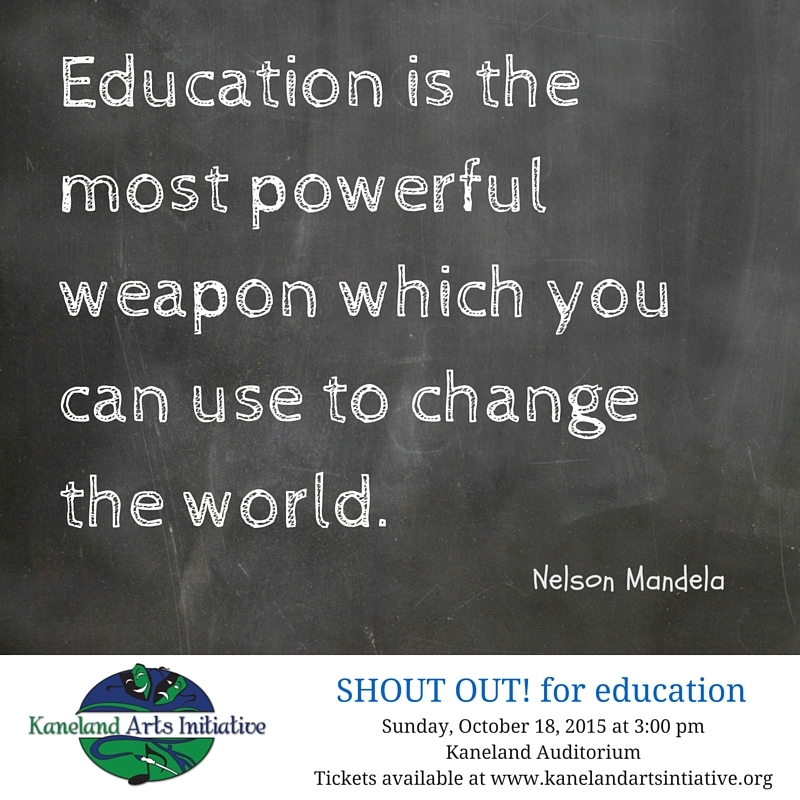 The Kaneland Arts Initiative (KAI) is opening its 2015 – 2016 season with a unique event celebrating education. SHOUT OUT! for education is a series of live readings written and read by individuals sharing their educational experiences. 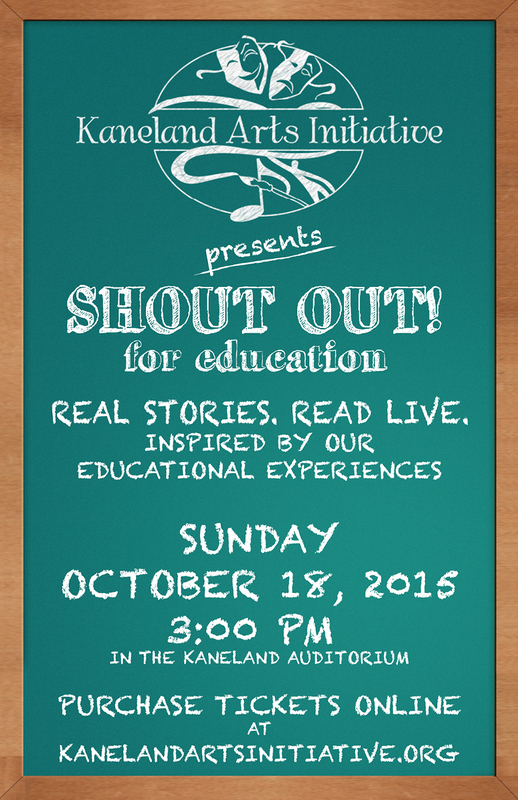 The event is scheduled for Sunday, October 18th at 3:00 pm in the Kaneland Auditorium. The SHOUT OUT! for education performance celebrates all things education. The 2015 SHOUT OUT! for education cast members are Carol Alfrey, Sharon Beck, Nicole DiSandro, Maria Dripps-Paulson, Bryan Kunstman, Al Lagattolla, Peter Lopatin, and Caitrin Mills. Each cast member has written an essay, which they will read aloud, telling a unique experience or opportunity or story about education. The stories are original compositions are will make the listener laugh, cry, and remember why education is vital, exciting, and wonderful. Tickets are on sale online. Adults are $10, Seniors are $8, Students are $5. Tickets are an additional $2 when purchased at the door. Seating is general admission. The event is appropriate for all ages and the length of the performance is approximately an hour with no intermission. This program is the first event in the new KAI Theatrical Subscription package. The KAI is thrilled to serve the community with professional Arts programing for an exciting 17th season. Tickets are available NOW! Click HERE to purchase your SHOUT OUT! for education tickets.